I am the daughter of a career Marine and grew up on military bases around the country. What I took away from seeing my father put on a uniform each morning was a sense of service and the importance of working for something larger than myself. Driving across the country every other summer to a new duty station impressed on me that nothing is static and how important it is to be flexible. My love for engineering can be directly linked to a multicolored set of Lego bricks. Why I chose to go into Aerospace engineering is not as clear. I attended Cal Poly San Luis Obispo where the motto is “Learn by Doing” and it wasn’t until much later that I realized not all engineers had the benefit of such a hands-on education. I graduated from Cal Poly with a Bachelors degree and a Masters degree in Aerospace Engineering and took a job working at Sikorsky Aircraft in Connecticut. Sikorsky is one of the first companies to manufacture helicopters and they are most well-known for the UH-60 Black Hawk and CH-53E Super Stallion. Working for Sikorsky affirmed for me my love of engineering, but also made clear how important it is to me that I use my skills every day to leave the world a better place. Knowing that about myself, changing my career to renewable energy seemed obvious and I chose solar because of the accessibility and scalability of the technology. It never ceases to amaze me that the same solar modules can be used to change our relationship with energy at the individual, local, regional or national level. In 2008, I moved to Oregon to be closer to my family and to start a career in the solar industry. An engineering degree - even one with a focus on hands-on learning - doesn't make up for a lack of construction experience. So I started at the bottom to learn the trade. I began volunteering each week at Habitat for Humanity and I went through the Oregon Tradeswomen, Inc. (OTI) pre-apprenticeship program before applying to both IBEW Local 48 inside electrician and Limited Renewable Energy Technician (LRT)apprenticeship programs. I also became involved with the international development community in Portland volunteering with Engineers without Borders and Green Empowerment to gain more solar experience. As part of the Oregon Tradeswomen program they require you to arrange informational interviews. When I asked if they knew any women working in solar of course they put me in contact with Sarah Wilder, Product Training Manager for SolarWorld. I bought her coffee and she shared her experience working in the industry. We kept in touch and when Sarah and her roommate Brion Wickstrom decided to start Synchro Solar, they asked me to join. I became a co-owner a few months later and was part of the Synchro team for 4 years. 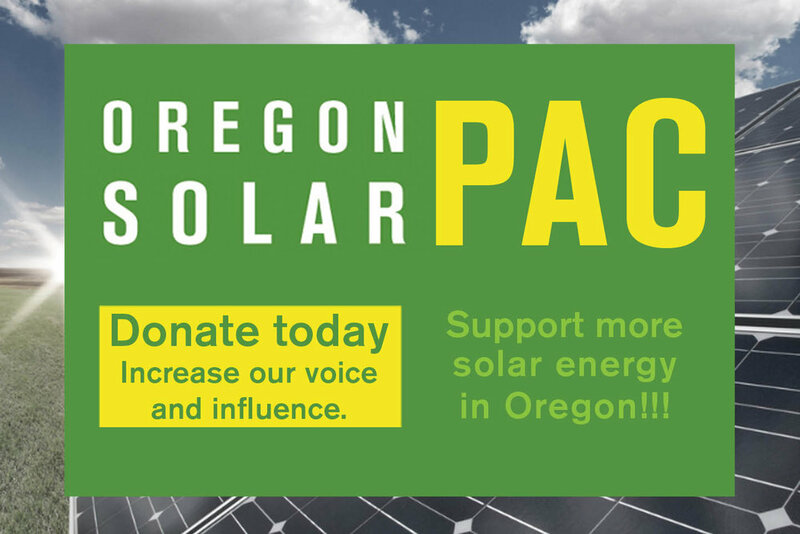 When a job at Energy Trust of Oregon became available I jumped at the chance to join a team that gave me the opportunity to do the things I loved to do for Synchro but for other solar contractors in Oregon, such as providing access to business development resources, helping increase profitability by decreasing operational costs, and addressing market barriers for solar in Oregon. My responsibilities are constantly evolving, just like the solar industry itself. I am working on projects that explore the benefits from pairing solar with complementary technologies like battery storage or advanced inverters, exploring ways that technology can change the way customers interact with their utilities, and identifying models that make solar more accessible to customers while providing new business opportunities to contractors. I feel so fortunate to have the opportunity do the work I love for a mission driven organization alongside amazing people. Solar is not just my day job, it is my passion. I still volunteer for Engineers Without Borders working with the Red Sweater Project, a group that brings affordable, equitable education to rural Tanzania. I have traveled there several times as part of a team to help electrify their schools with solar.